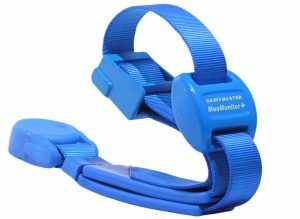 MooMonitor+ is a wireless health monitoring system which allows you to monitor your herd 24/7. It sends you alerts on your cows’ health and fertility. It is mobile friendly, which means all of your cows data is sent directly to your phone, tablet or PC. It is easy to use and totally secure. Real-time information has always been invaluable to farmers and with the MooMonitor+ accessing that information has never been easier. Decisions can be made more effectively and the data is always at your fingertips. The data is simple to understand and easy to interact with. So no matter where you are in the world or what you are doing you can check up on your heard quickly and easily. 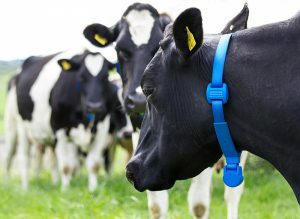 Each MooMonitor is unique – Equipped with an unique serial nummer and NFC technology, each MooMonitor+ can be he used to identify individual cows. Scan with your smartphone – The MooMonitor+ system uses the same technology as contactless payment to assign tags to cows. 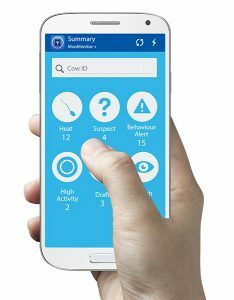 Simply swipe over the MooMonitor+ and punch in the large number of your cow’s ear tag and you’re done!